Oboist Ryan Roberts was first-prize winner of the International Double Reed Society’s 2018 Young Artist Competition and the National Society of Arts and Letters’s 2018 Woodwind Competition. 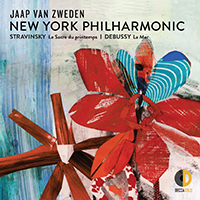 He recently premiered Michael Torke’s Oboe Concertino with the Albany Symphony and recorded the work for Albany Records. As a Kovner Fellow graduate of The Juilliard School, he studied with Elaine Douvas and appeared frequently as principal oboist of The Juilliard Orchestra. After graduating, he began a fellowship with New World Symphony and has since performed with the New York Philharmonic, The Philadelphia Orchestra, The Metropolitan Opera Orchestra, and Fort Worth Symphony Orchestra. Mr. Roberts has spent three summers as the oboe fellow at the Aspen Music Festival, and he will appear at the Marlboro Music Festival in 2019. Originally from Los Angeles, Ryan Roberts studied with David Weiss, former principal oboist of the Los Angeles Philharmonic. He toured the United States and Europe as a member of Carnegie Hall’s National Youth Orchestra. He has also studied piano since the age 5, and won third prize in the Bravura International Piano Competition in 2014.